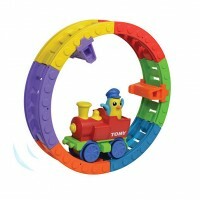 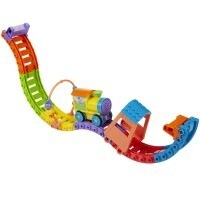 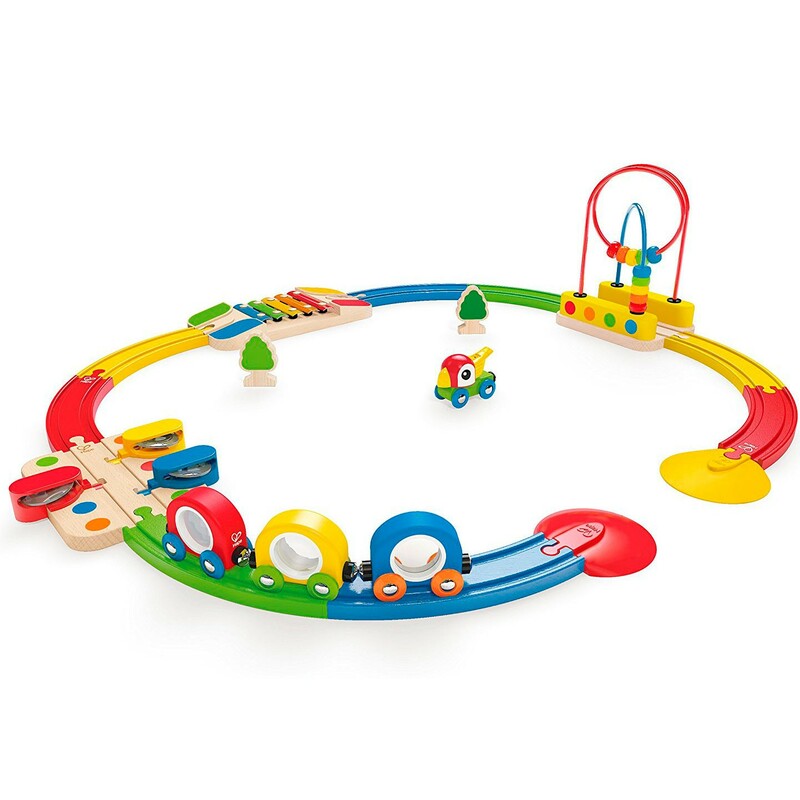 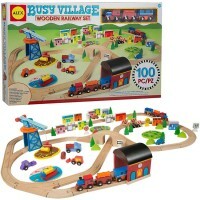 Your little train engineer will love this colorful and musical railway set, full of fun activities, sounds and sights! 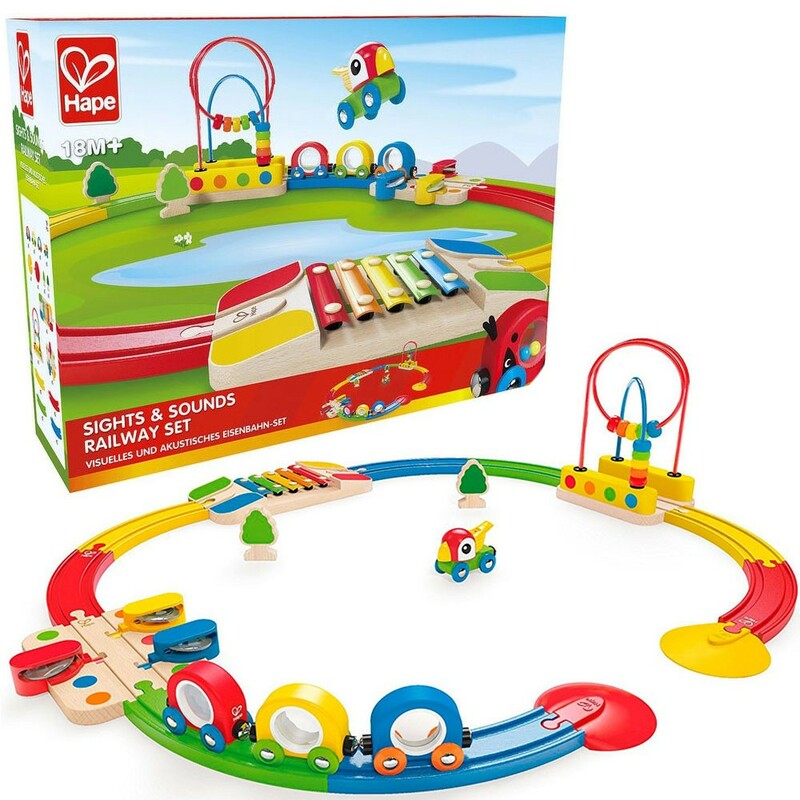 Your little train engineer will love this colorful railroad set from Hape! 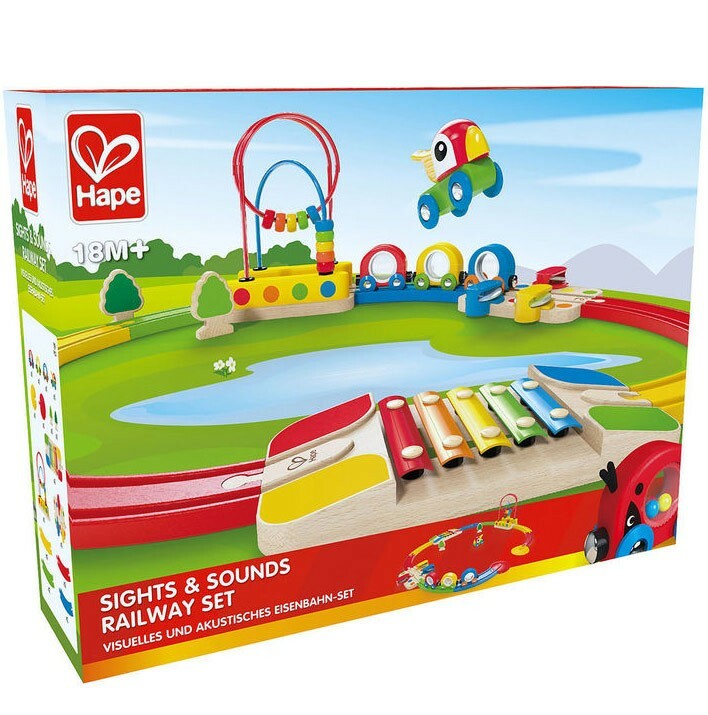 Sights & Sounds Railway Toddler Train Set brings a unique design, well-made wooden tracks and tons of activity add-ons that will entertain your little one for hours! 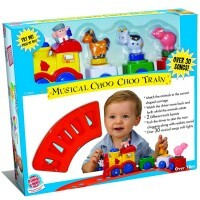 This train set will fill the room with sounds, music, and of course, choo-choo noises from your own toddler. 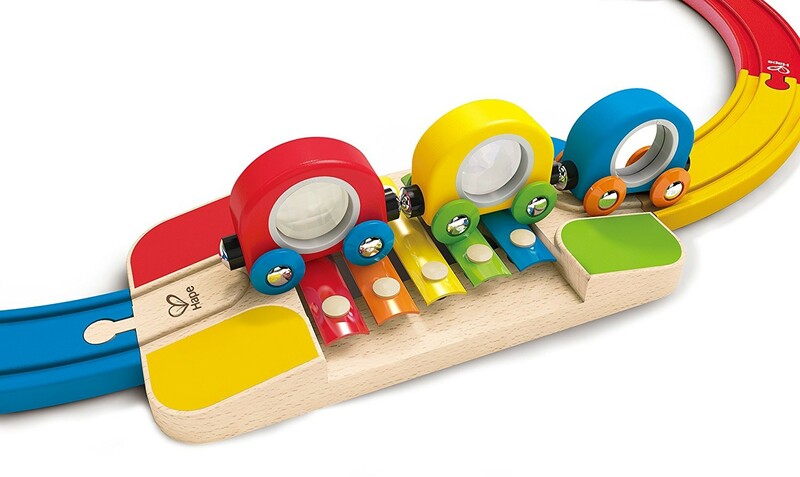 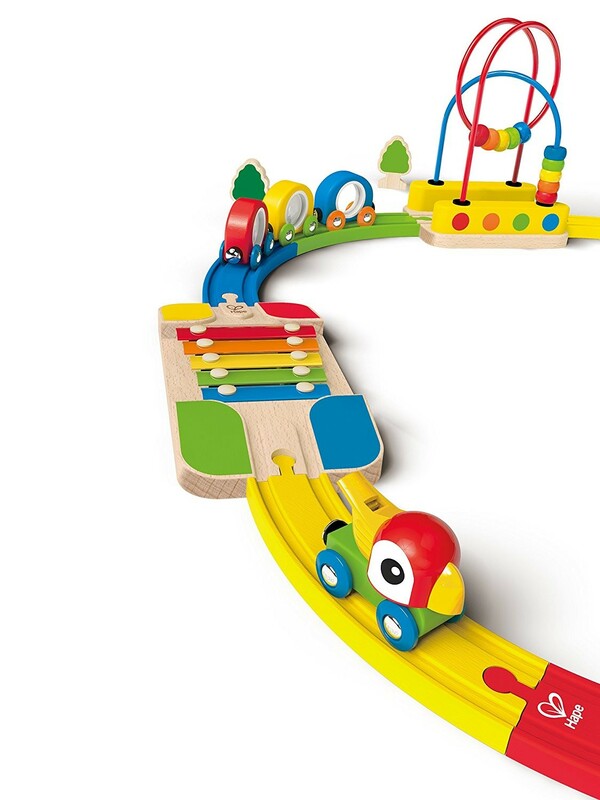 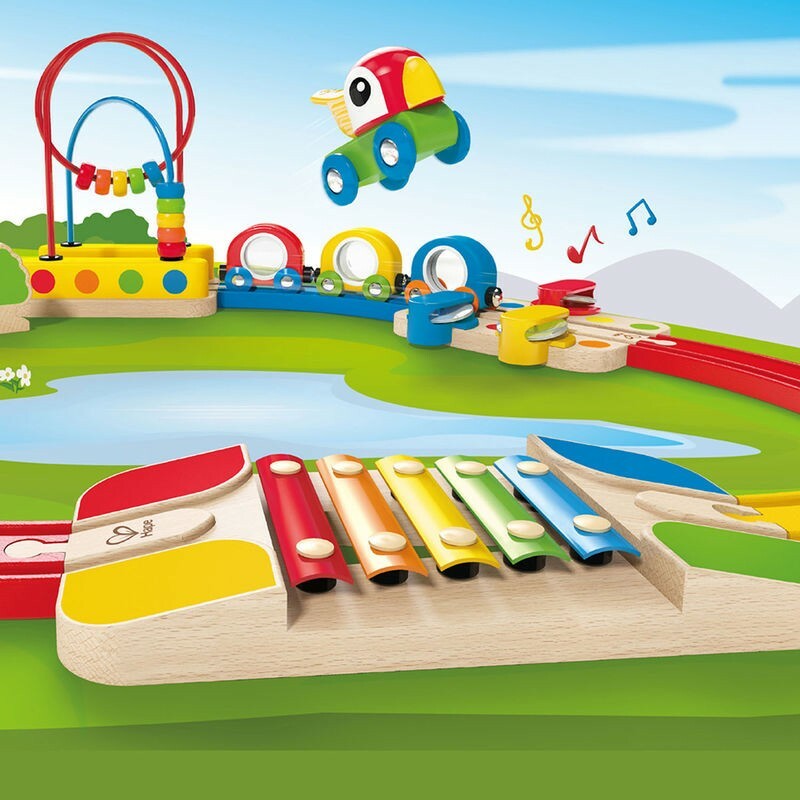 This wooden train set comes complete with 19 pieces including vivid color curving tracks, 3 magnetic train cars with different types of eye windows, whistling parrot engine, bead maze rainbow track, xylophone melody track, tambourine tune track, and wooden trees. 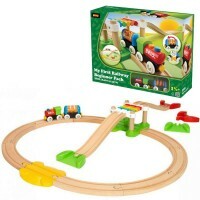 Help your toddlers to build the first railway or later watch him/her do it by themselves. 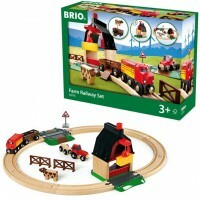 Put the bird shaped engine and cars on the tracks. 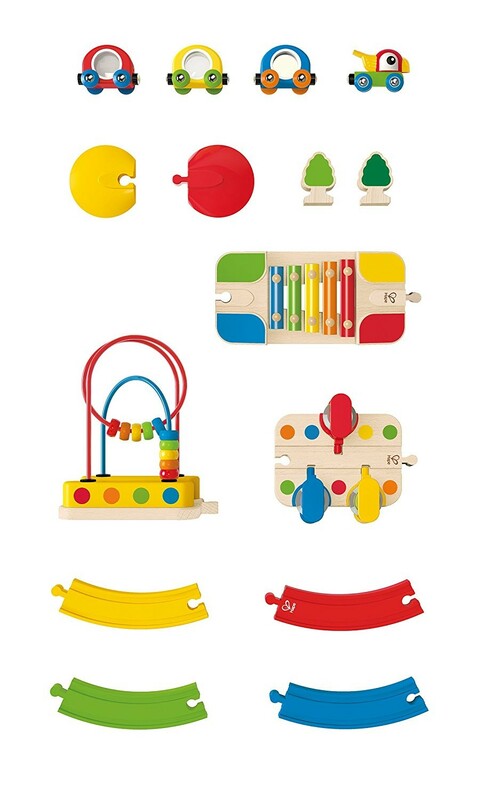 Start your journey to senses exploration, experimenting with sounds, practicing manipulative activities. 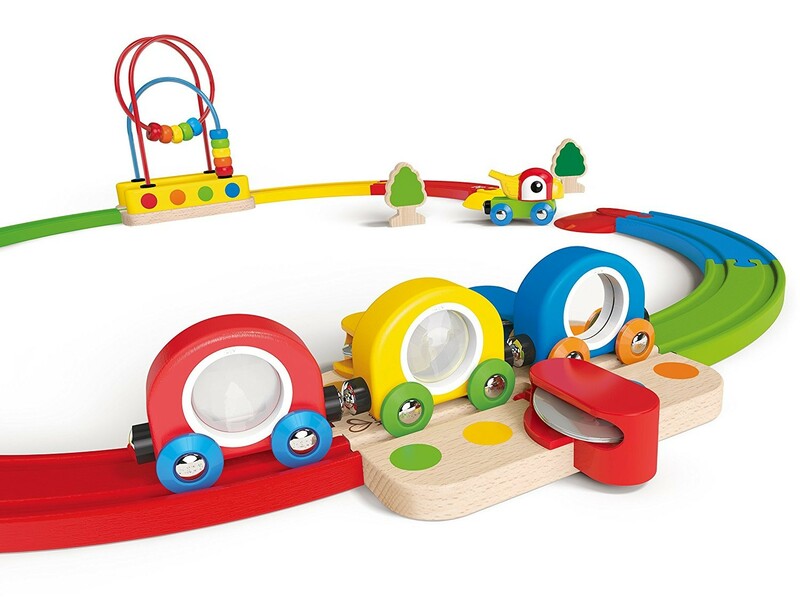 The included Take-a-Look Train has 3 different windows: magnifier, mirror, and prism. 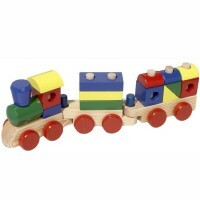 The parrot shaped car features a whistle to let the people know that train is around the corner. 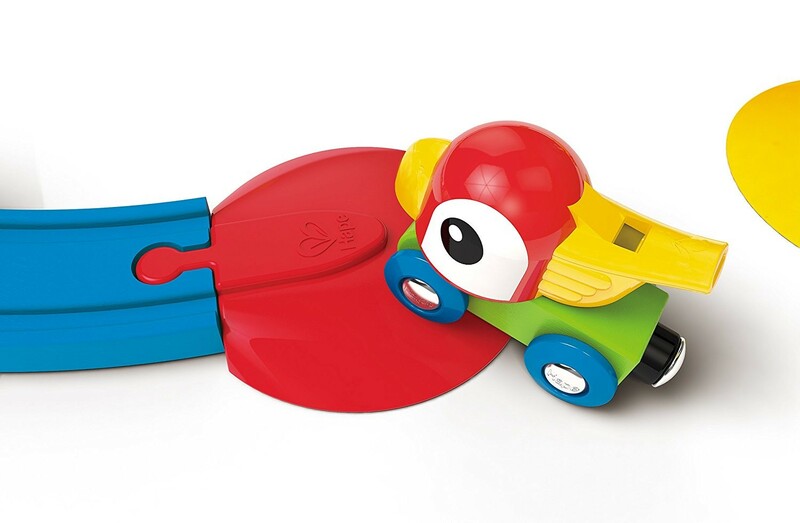 The cars and engine can be free wheeled on any smooth surface. 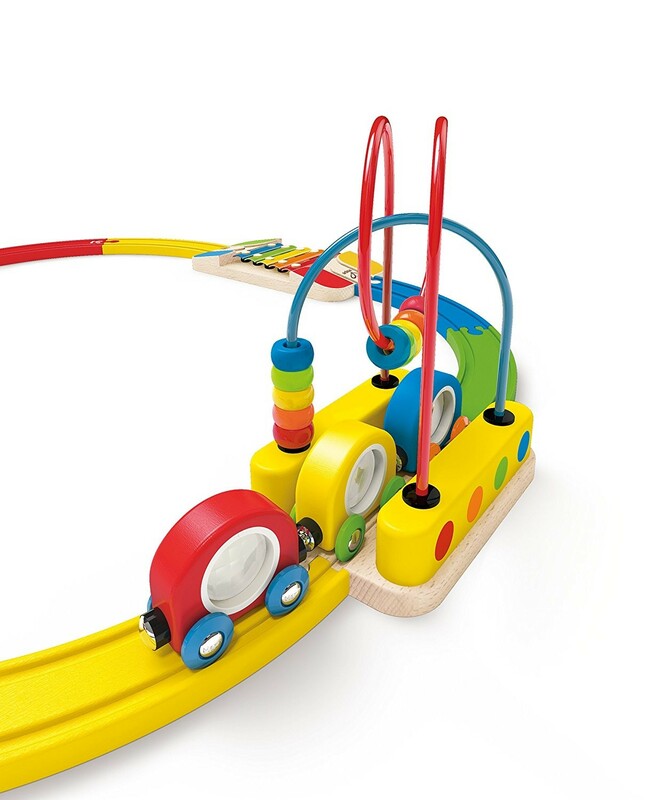 This Educational Toys Planet's deluxe toddler train gift set is perfect for big imaginations and little hands! 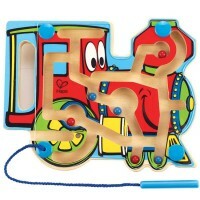 Dimensions of package 28.76" x 26.4" x 7.88"
Write your own review of Sights & Sounds Railway Toddler Train Set.